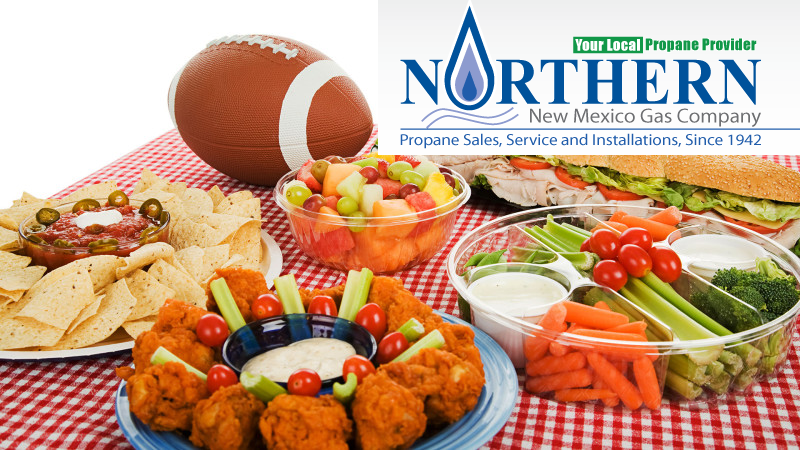 Preparing for a Super Bowl Party in Northern New Mexico. Of course Green Chile – We do prefer adding this to our real simple Super Bowl queso dip. (Recipe Below). Velveeta Cheese or your favorite melt-able cheese. Green Chile – So important we mentioned it twice IMPORTANT- DO NOT USE IT ALL-YOU WILL BE MAKING BURGERS! Rotel or your favorite Salsa. Cube up the cheese in the microwave safe bowl and add the above contents minus the milk. Add milk to make queso consistency to your liking. Voila! Now find some chips! Ground Beef – Make the patty and press your thumb lightly in the middle to reduce bunching. Grill on an awesome PROPANE grill that you fire with Northern New Mexico Gas propane. Find One of Our Cylinder Exchanges. IMPORTANT – Before placing your cheese on your burger apply green chile. Then you can cover the chile and burger with cheese. Invite some friends. May want to consider doing this prior to preparing food.